Ha, we bet you didn't see this coming. Last week we did another blind camera comparison, asking our readers to vote for the photos they liked best, and to spice things up a bit, we threw in images from two lesser-known handsets – the Huawei Ascend P7 and the Oppo Find 7a. Both of these two well-made Androids come with 13MP cameras which can produce eye-pleasing images, so there was a good chance of seeing one of them finishing in first place. Neither of the two phones got the top spot, however. Actually, it was the Samsung Galaxy S5 that won the gold, having collected a third of all votes. The Sony Xperia Z1, which was chosen best by a fifth of those who participated, came in second place, followed closely by the Find 7a, which got 19.1% of all votes. Apple's iPhone 5s, as good as its photos may have been, got only 11.7% of all votes. Next up we have the Huawei Ascend P7 in fifth place with a score of 7.2%, followed by the HTC One (M8) and the LG G2, which got only 4.5% and 3.7% respectively. But we've not seen the last of Huawei and Oppo yet! Their two flagships are both starring in our upcoming camera comparison, so consider this a teaser. Which phone's photos do you like best? 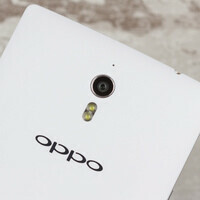 I actually thought the Oppo 7a was the most detailed and most vivid. Exposure and dynamic range was also very consistent. I own the G2 and i knew from the first scene that that was the G2. I rated the S5 after the Oppo and thought iP5s was third place. That S5 camera is freaking so bada$$. plus it's a water proof phone. What a WIN Samsung has. Phonearena.com, when will you ever review the NEW Sony Xperia Z2??? The review came out & the Sony Xperia Z2 got rated better than the Samsung Galaxy S5. Z2 got 9.2 VS. S5 got a 9.1 Now all we need is a camera comparison. "Sony Xperia Z2 got rated better than the Samsung Galaxy S5. "...from whom??? LOL If it was rated from the tech media guys , they would even rate M8 and iPhone5S better than S5. So, what is your point, again??? Plus UI lag + UNACCEPTABLE design + more bezel than GS4. When it's comes to UI lag I have suffered with GS3 even when the phone was just 6 months old. My sister is mad at how her gallery opens 2 seconds after she has tapped the icon and the general sluggishness on her galaxy s4 (stock kitkat). I can imagine what GS5 owners would have to go through. I have to admit that cameras have been fantastic on samsung galaxy s phones in the past three years but they have to get the basics right. The Sony Xperia Z2 on the other hand transcends the Galaxy s5 in every way. Yeah, yeah, yeah, it's ugly, it's plastic, it lags, blah blah blah... At the end of the day, S5 has the best camera, the best battery, one of the best screens, one of the highest consumer satisfaction scores, genius marketing, and most important of all, it's the best selling phone right now. What does Z2 have? A lot of talk with no substance. ROTFL It you ask the tech media guys - M8 and iPhone5s are "the best". Do you remember how they were bashing the 5" smartphones? Do you remember how they said that Note(with S-pen) is the a flop? Do you remember how they were bashing smaller than iPad tablets? ...and so on. Should we believe them ???? You must be joking right? Samsung is lucky PA didn't include the 1520 let alone the 1020 in this comparison! I bet my old N8 could take better photos than an S5 Also the 1520 has the best battery based on the trusted GSMArena! 'Best Camera'. Duh... Z1's camera with a bigger sensor captures more details than the S5. Let alone the Z2. As a Photoshop guy, I advice you not to be deceived by an addition of extra vibrant colours. Despise that, I still view the S5 as a better option for most users than the Z2, although Sony Z2 is a very close second and it's the company is catching up very quickly these days. So what? It's my sisters fault that she couldn't fly all the way to South Korea? Is it her fault that she trusted samsung with her money? And SD600 will run just fine on an AOSP rom so isn't it samsungs fault? I am not talking general lag, I am talking about sluggishness. Like really annoying sluggishness due to heavy and poorly optimized software. Hmm no, actually quite expected. z1 always win or second in camera blind test in different websites. s5 has good camera but colors are unnatural = saturated. 5s also has fake colors and also pic is not detailed in comparison. i guess some people like saturated colors so s5 chosen but its not as good as z1 in detals and real colors in comparison to reference. i prefer natural colors. in blind test i unknowngly choose z1. no wonder. g2 camera is not that good anymore in comparison, find 7 are as good. so overall, not really surprises. well, i say that after i watched dozens of comparisons. so maybe i'm spoiled. in my trained eyes, z2 has the best camera on the market as of now. z1 is second, s5 is third. I think S5 actually has more details. But just by a little bit. But Z1/Z2 have definitely a lot more natural colours. How do you know what are the "natural colours" on blind test, when you have no clue, what are the colors of the real scene???? Or you juss repeat old iBS? More details is what I saw as well, but on smartphones that entails over-sharpening. Over-sharpening and over-saturation will catch most readers' attention, but I thought #6 was the actual better camera. Knowing the results now, I very much stand behind that judgment. Popularity =/= better.